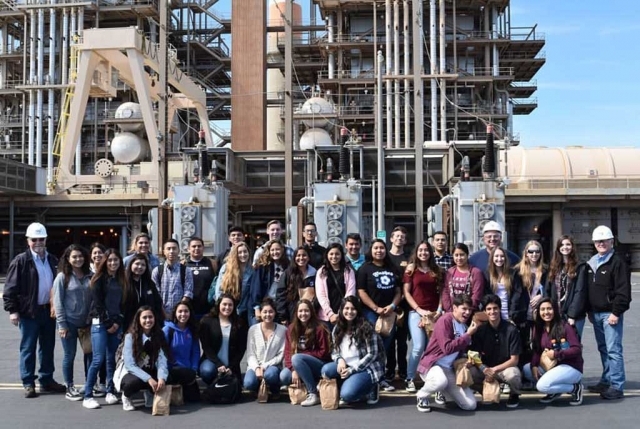 Fillmore High School AP Environmental Science class took a group photo to celebrate their amazing field trip to NRG’s Mandalay Generating Station, not only did students get a tour of the plant they also had lunch at the beach and did a beach clean up afterwards. IT Director Anthony Ibarra spoke at our faculty meeting about the 12 COWs that will be delivered to FHS. These COWs will basically bring the computer lab into the classroom. It’s a very exciting time for Fillmore High School as it moves towards becoming a technologically advanced school. The school has 99% wifi coverage and will be going live soon. The carts are set up and the Lenovo devices are almost ready to go. In addition to IT staff, 2 Lenovo reps came out to speak about the features of the Lenovo Yoga devices that come with the carts. 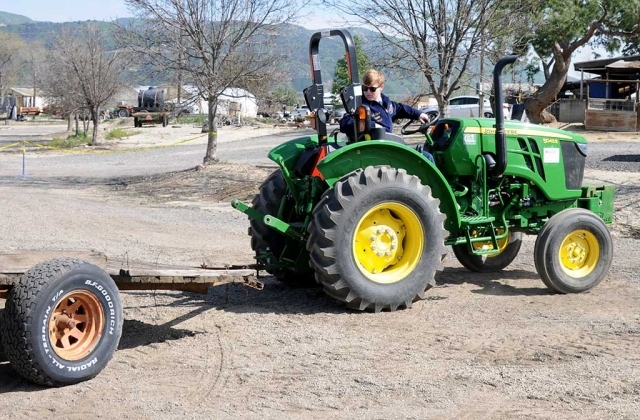 An actual COW is a cart with room for up to 36 laptops or tablets and individual charge connections built into it. 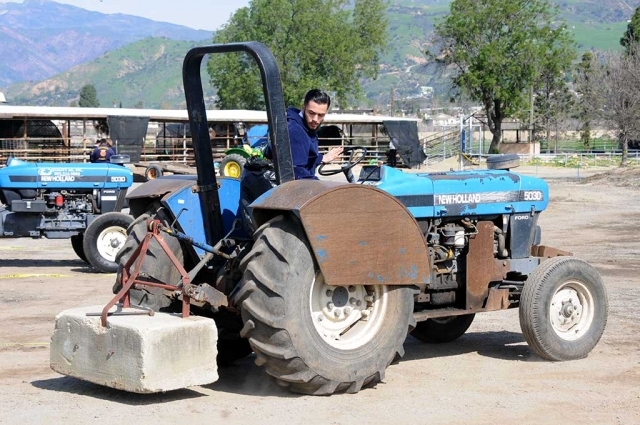 The COWs would be set up in the room and the students can access the internet from there eliminating lost time from having to walk to a computer lab. The winners of the 2017 Ventura County Science Fair were announced at an awards ceremony this evening at the VCOE Conference and Educational Services Center in Camarillo. This year’s science fair featured 720 entries from 850 middle and high school students from throughout Ventura County. At tonight’s ceremony, awards were presented in 13 scientific categories including microbiology, engineering and chemistry. In addition, local companies and organizations selected 50 winners in 13 special categories. The winning entries were chosen by approximately 150 local science, engineering and industry professionals who volunteered their time to serve as judges. The Ventura County Office of Education provides a broad array of fiscal, training and technology support services to local school districts, helping to maintain and improve lifelong educational opportunities for children, educators and community members. 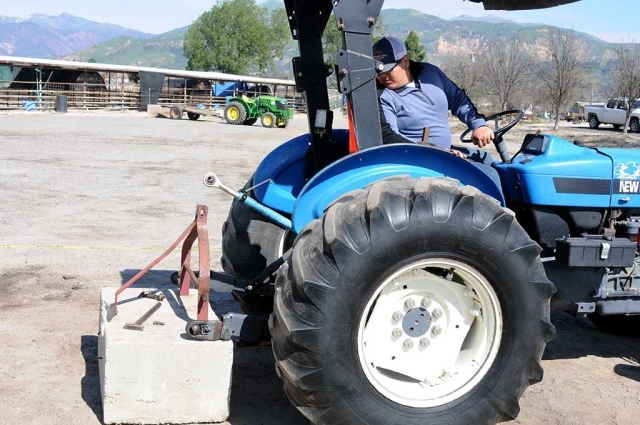 VCOE also operates schools that serve students with severe disabilities and behavioral issues, provides career education courses, and coordinates countywide academic competitions including Mock Trial and the Ventura County Science Fair. Learn more at: www.vcoe.org. After a very productive round the Flashes team carry “Mr. Roboto,” off the field and back to the pit. 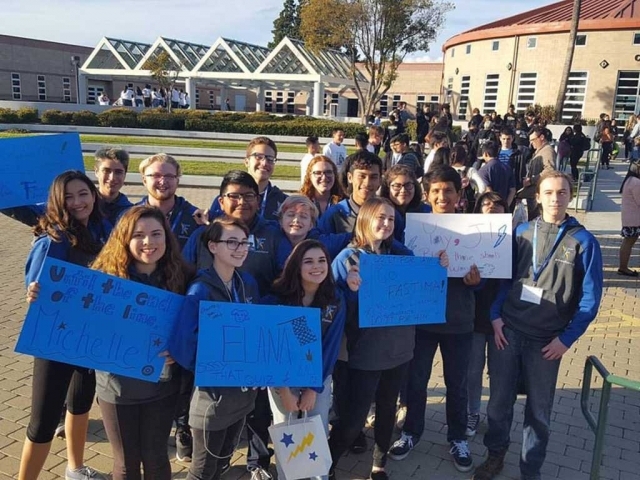 On Thursday through Saturday the intrepid engineers of the Fillmore High School Robotics Club ventured forth and competed for the first time in the Ventura Regional Robotics competition. 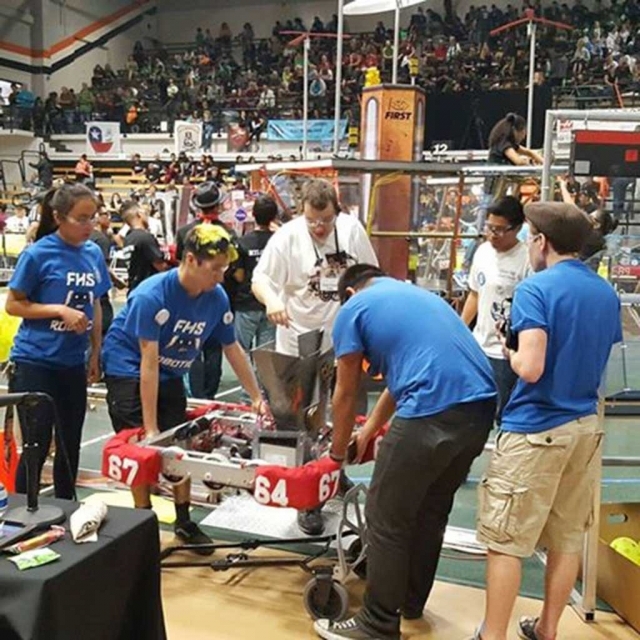 This annual competition is run by FIRST Robotics and features 42 public and private schools of varying sizes. There were even two teams from Hawaii and one team from Chile this year. The team placed 38th and overcame many obstacles on their journey. The Flashes competed very well for their rookie outing, and have taken to heart lessons learned this year. Having started two weeks late, they only had 4 weeks to design, build, and test their robot. The competition parameters were tough, but the team showed their true character and fielded a durable and functional robot. On Thursday, the practice day, the team discovered their robot was 4 inches too wide. Thanks to some adept metal shop work and some timely assistance from the mechanical lead of the Sparktronics team from Orcutt, the robot was cut down four inches and reassembled under intense time pressure. The team continued into the qualifying matches on Friday and Saturday and consistently scored points both in the programming phase and the human remote operated phase in each match. The engineering accomplished for this season, the team is already brainstorming ideas for next year’s funding sources as well as drafting designs for new electrical, control and drive systems. Fillmore High School couldn’t be prouder of the accomplishments of these 20 budding club members from 8th to 12th grade, who sacrificed countless hours, overcame their initial lack of experience, melded with team members they might not otherwise socialize with, and rose to the challenge of building a 3ft x 3ft wireless robot from scratch, utilizing their own ingenuity and persistence. 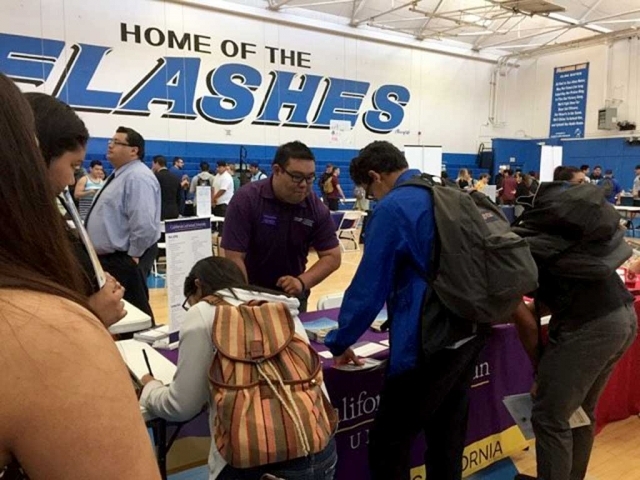 Last week was Higher Education Week (HEW) at Fillmore High School, and on Friday March 17th, the school had colleges available in the gym where students were able to move about freely and check out the college of their choice. HEW sponsored by EAOP UC Santa Barbara. 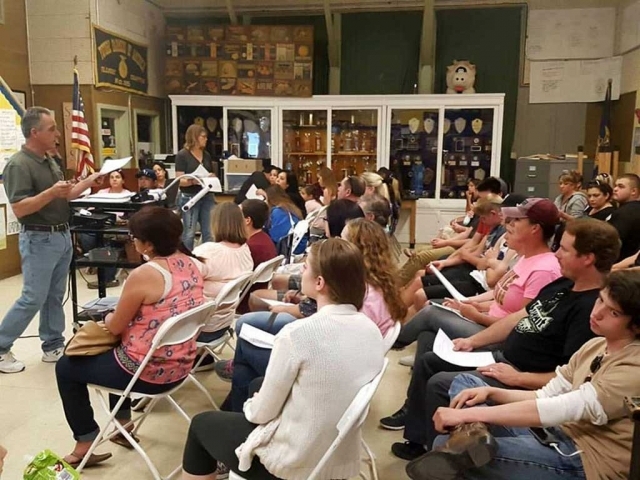 Fillmore High School FFA hosted a parent meeting to go over expectations of the students raising animals for this years fair to be held in August. 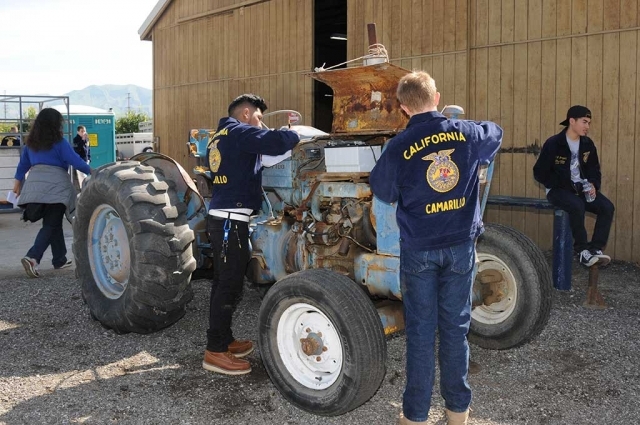 Fillmore FFA is consistently successful at the Ventura County Fair and starting early definitely is part of it. 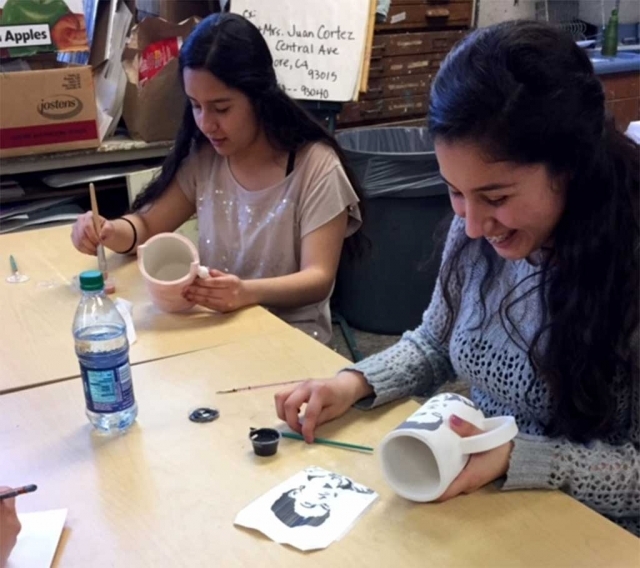 Fatima and Daniela Castillo working on glazing their mugs in Ceramics class in preparation for the annual arts show. 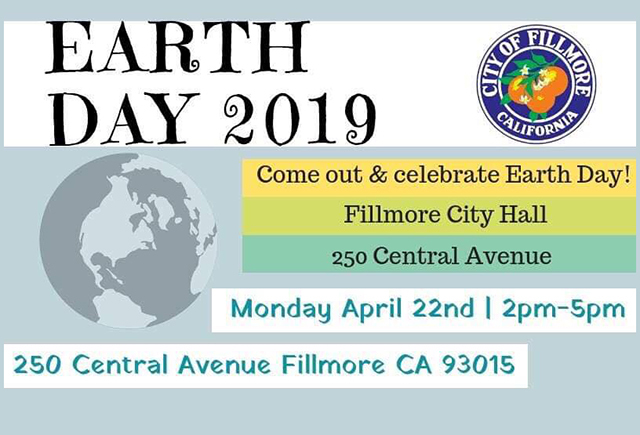 The Fillmore High School Arts Show “Roads Less Traveled” will be held on Thursday March 30th from 6-7:30 p.m. at the Memorial Building. 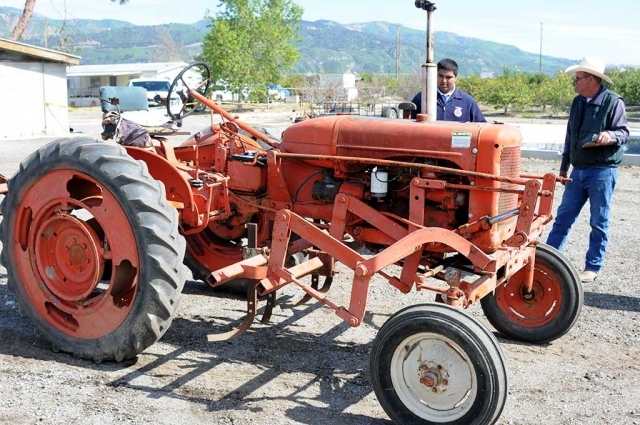 The annual Fillmore Tractor Contest at the School Farm took place Saturday February 25th. 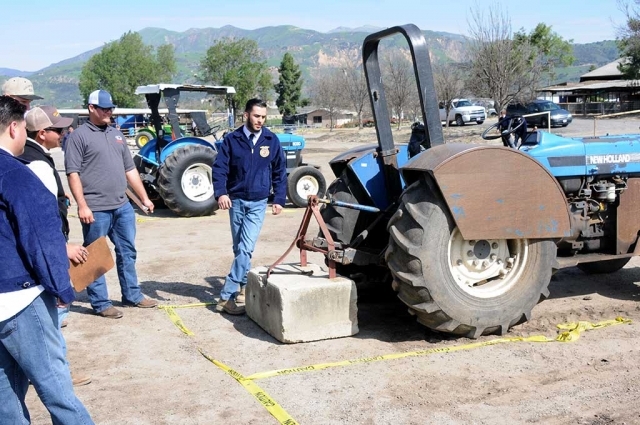 Camarillo and Santa Maria schools turned out, but several other Future Farmers of America contestants were unable to attend due to scheduling difficulties. 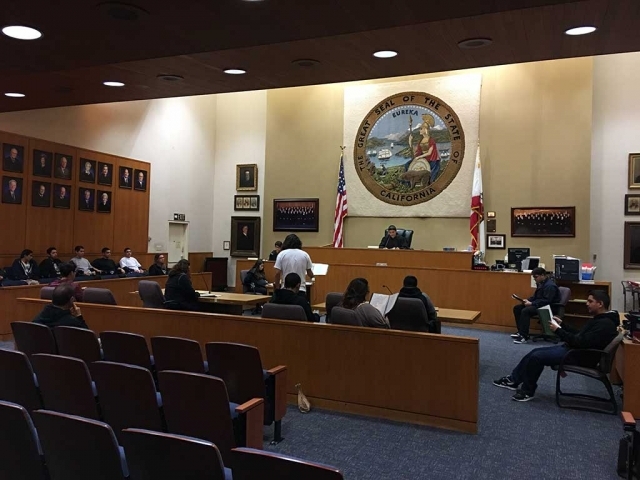 More than two dozen local high schools will field 34 teams in the Ventura County Mock Trial competition, which begins Monday in Ventura. 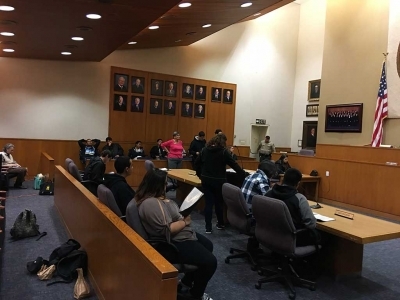 Courtroom drama comes to life as students take on the major roles of a criminal case, including attorneys, witnesses and even bailiffs. The students will present their cases before actual local judges who volunteer for the competition. Local attorneys serve as coaches. 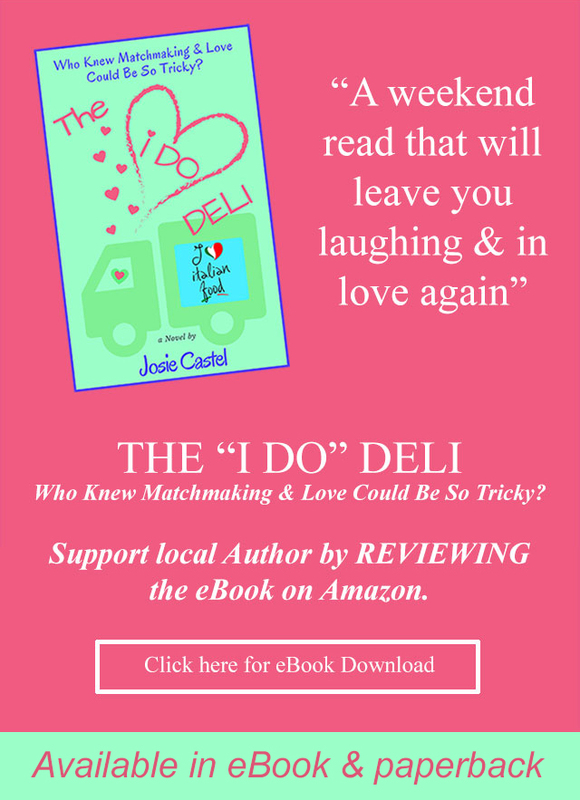 WHEN: The competition runs Monday, February 27 to Thursday, March 2. The Wednesday semi-finals and Thursday finals are open to the public and the media. 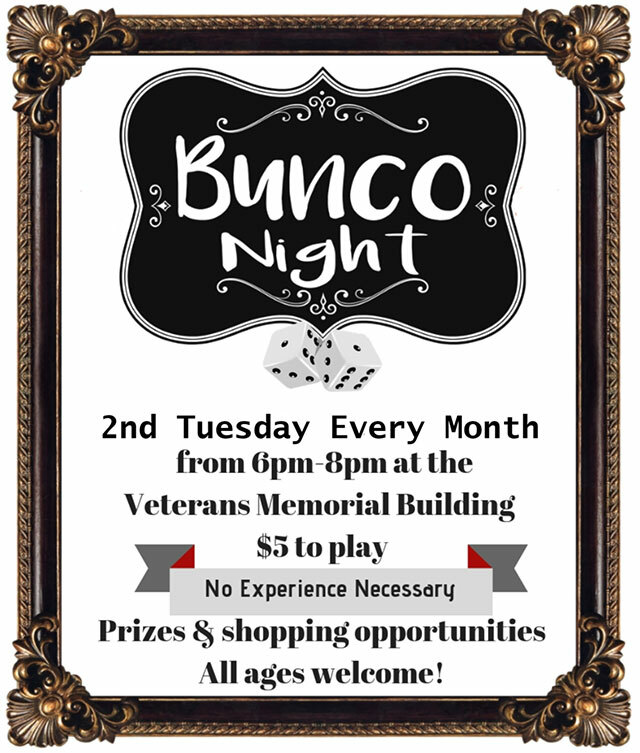 Competition begins each evening at 5:00 pm and is expected to conclude by 11:00 pm. The Mock Trial awards ceremony will be held on Monday, March 6 at 6:00 pm at the Oxnard Performing Arts Center at 800 Hobson Way. The public is invited to attend and media coverage is welcomed. 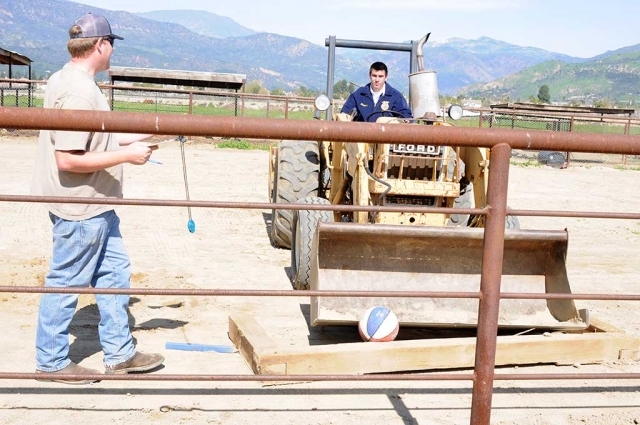 The competition is coordinated annually by the Ventura County Office of Education. This year’s fictitious case, People v. Awbrey, is the trial of Cameron Awbrey, a restaurant owner, who is being charged with human trafficking and false imprisonment. High schools participating this year are: Adolfo Camarillo, Agoura, Beacon Hill Classical Academy, Buena, Channel Islands, Fillmore, Grace Brethren, Hueneme, La Reina, Newbury Park, Newbury Park Adventist Academy, Oak Park, Oaks Christian, Oxnard, Pacifica, Rio Mesa, Saint Bonaventure, Santa Paula, Santa Susana, Simi Valley, St. Augustine Academy, Thousand Oaks, Trinity Pacific Christian School, Ventura, Villanova Preparatory School and Westlake. The winner of the county competition will go on to the state mock trial contest March 24-26 in Riverside. Ventura County has taken first place at the state level in 2008, 2011, 2012 and 2013. This year’s Ventura County Mock Trial logo artwork was created by 17-year-old Crismalid Lopez from Hueneme High School. Additional information about the 2017 Ventura County Mock Trial is available at vcoe.org/mocktrial. Bill Baumgartner, Jack Stethem Bill Edmonds of the Fillmore Lion’s Club, spoke to San Cayentano students about the Lions Club and the role their in the Community. 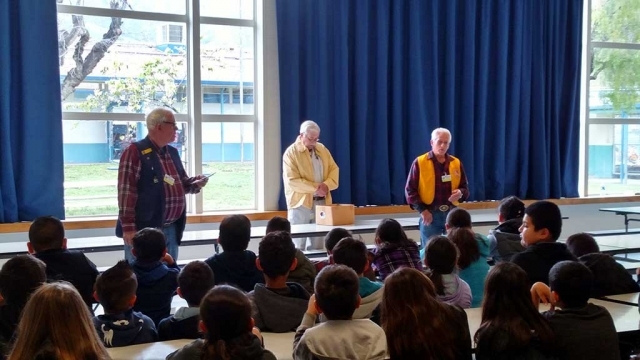 On Tuesday February 21st, the Fillmore Lion’s Club spoke with all of San Cayetano’s 3rd grade students. Lion’s Club Members Bill Baumgartner, Jack Stethem and Bill Edmonds spoke to the students about the Lion’s Club and their role in our community. Lions Clubs International is the largest service club organization in the world. 1.4 million members perform valuable service in 210 countries and geographic areas around the globe. Lions are friends, family and neighbors who share a core belief: community is what we make it. The Lion’s Club members gave each 3rd grader a US Flag and an informational pamphlet regarding the Flag of the United States of America. The 3rd grade students and staff of San Cayetano School appreciate the visit and work this wonderful group does for the community of Fillmore. Saturday February 4th, the Fillmore High School Acadeca Team competed this past weekend in the 2017 Ventura County Academic Decathlon Championship held at Pacifica High School Gym. They competed in 7 rigorous subject exams based on World War II and give a prepared speech, impromptu speech and interview. Pictured is the group of San Cayetano 3rd, 4th and 5th grade students who competed at the site level. Pictured above are the 1st place winner Erika Sanchez and 2nd runner up Nadia Palazuelos. 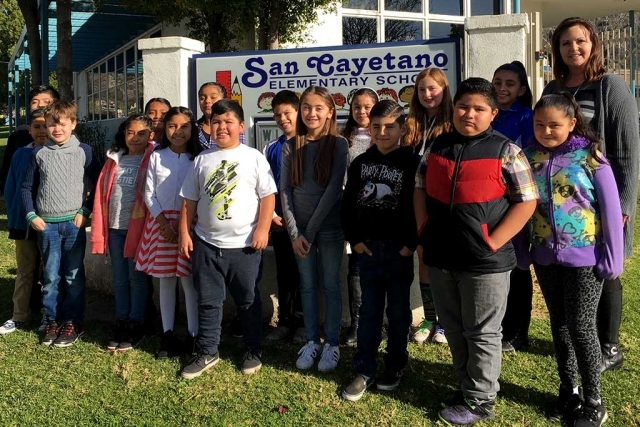 San Cayetano held its annual spelling Bee led by 5th grade teacher Ms. Kristen Dewey. 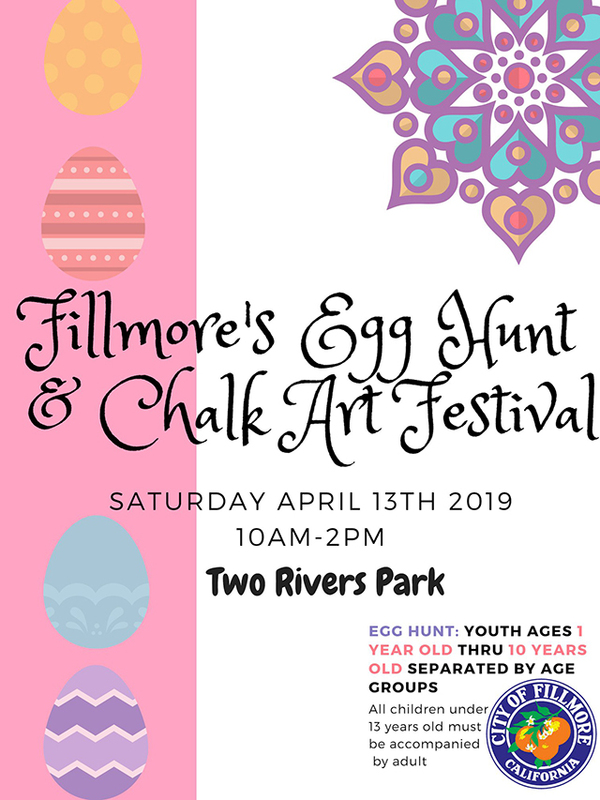 All students in grades 3-5 are eligible to participate. 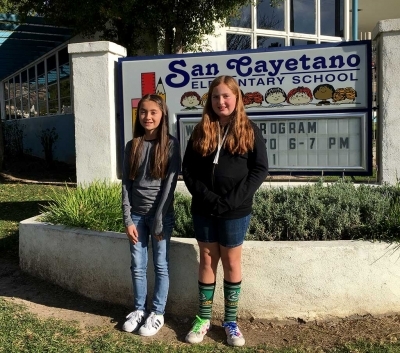 Each class holds a preliminary spelling bee to choose the top two spellers in the class who then go on to compete with the top two winners from each 3rd-5th grade class at San Cayetano School. Our 1st place winner was 5th grade student Erika Sanchez and 2nd runner up was 4th grade student Nadia Palazuelos. Erika will go on to compete in the Ventura County Spelling Bee at Cal State Channel Islands in March. The staff of San Cayetano are very proud of our top two winner all our great spellers! Tricia Gradias is Principal at San Cayetano Elementary. At Tuesday’s Fillmore Unified School District meeting Board members acknowledged the exemplary work of the following employees: Student of the Year, Luke Myers; Classified Staff of the Year: Lisa Cook; Certificated Staff of the Year: Jenny Bortins; Administrator of the Year: John Wilber. Special recognition was given to John Wilber for his 32-years of administration work in all of Fillmore’s schools. 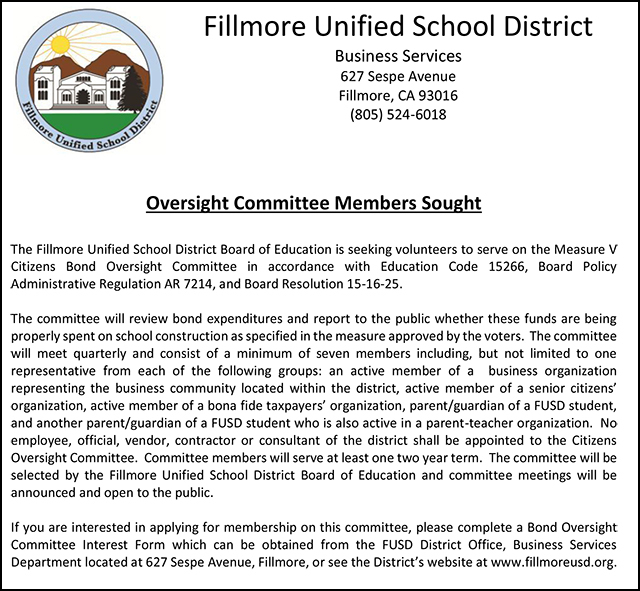 The Fillmore High School Athletic Booster Club organization was also recognized for its strong advocacy and financial support of Fillmore High School athletics. Its community fundraisers have raised more than $200,000 over the years for this cause. The opening of the Dual Language Immersion Program has been delayed, and a notice will be provided to district families this month. The Nursing program at CSU Channel Islands (CSUCI) has been named as one of the top 25 nursing programs in California. CSUCI’s Nursing program was ranked No. 11 out of 127 California nursing programs considered. The honors came from RegisteredNursing.Org, an organization that provides information to nurses and nursing students in all 50 states. “After analyzing nursing programs in California, it became evident that CSUCI not only supports students during their time on campus, but also prepares them for a career beyond CSUCI,” said RegisteredNursing.Org Founder and Managing Editor Brooke Wallace. CSUCI’s Nursing program was also chosen because of the program’s high student retention rate and the high number of CSUCI nursing graduates who pass the National Council Licensure Examination or NCLEX. Chair and Professor of Nursing Karen Jensen was thrilled to hear the news. She credits the success of the program to its faculty and the quality of the students, who are carefully selected from a large pool of applicants. Jensen and CSUCI’s Nursing faculty look for a combination of academics and experience because the nursing field has become more challenging in the 21st century. The CSUCI Nursing program was awarded an official badge to show their ranking. For more information visit: http://www.csuci.edu/academics/nursing.htm. A theologian will discuss state-sponsored persecution of sexual minorities in Nazi Germany at California Lutheran University on Thursday, Feb. 23. Professor Samuel Torvend from Pacific Lutheran University will discuss “The Passion of Robert Oelbermann: The Persecution of Homosexuals in Nazi Germany” at 7 p.m. in Overton Hall on the Thousand Oaks campus. Cal Lutheran’s Division of Mission and Identity is sponsoring the free event in recognition of the 500th anniversary of the Reformation. Robert Oelbermann was a gay German Lutheran whose life and suffering exemplify state-sponsored persecution of persons deemed unfit for life under the rule of Adolf Hitler. In 1919, Oelbermann and his brother founded the Nerother Bund youth group, which aimed to bring young people closer to nature through camping and hiking. Like many German youth groups at the time, the Nerother Bund accepted the homosexual relationships that sometimes developed within the organization. After the Nazis took power in 1933, they dissolved all independent youth groups and encouraged members to join the Hitler Youth movement. Oelbermann refused and secretly continued his association with the group. In 1936, Oelbermann was convicted under the Nazi-revised criminal code that outlawed homosexuality. He and 13 other members of Nerother Bund were imprisoned. Oelbermann was eventually transferred to Dachau concentration camp, where he was required to wear an identifying pink triangle. He died there in 1941 at the age of 44. In this presentation, Torvend will show how the tentative emancipation of sexual minorities was undone by an ideology rooted in fear of the other, and how persecuted people struggled to lean into life. 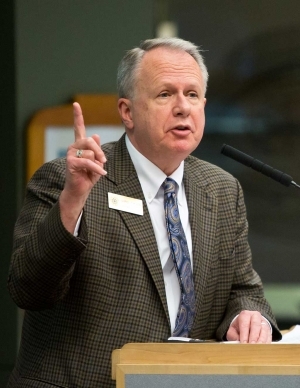 Torvend is the Endowed Chair of Lutheran Studies at PLU in Tacoma, Washington. He is working with an international consortium of scholars whose work on economic, political and social questions is being presented during the 500th anniversary of the Reformation this year. He teaches courses and seminars on Martin Luther, the Lutheran heritage, women reformers, Lutheran higher education, Lutheran art and music, and the Reformation. He also teaches the history of Christianity and historical courses on social welfare reform and Christian responses to hunger. He received the 2006 K.T. Tang Award for Excellence in Research. Overton Hall is located on the south side of Memorial Parkway near Regent Avenue. Livestream and on-demand video recording will be available at CalLutheran.edu/live. 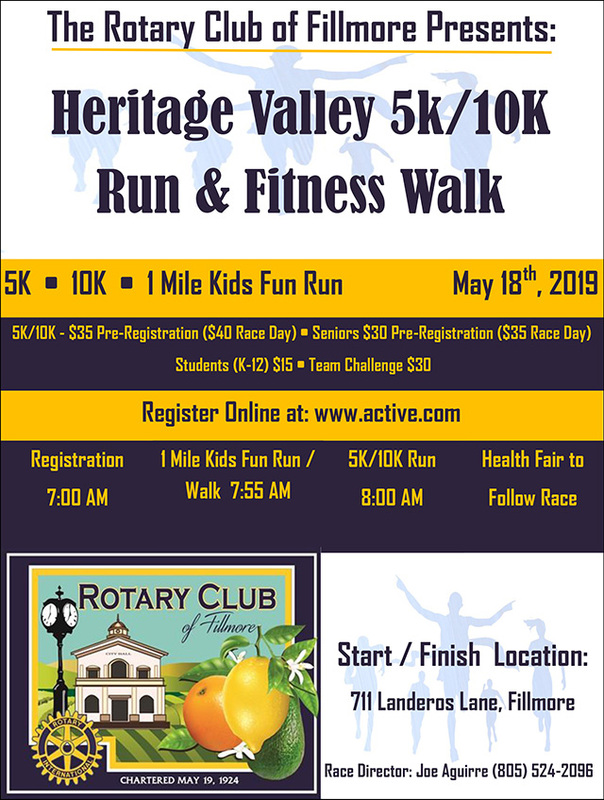 For more information, contact Melissa Maxwell-Doherty at 805-493-3589 or revmmmd@callutheran.edu. Janet Mendez - Cal State Channel Islands. 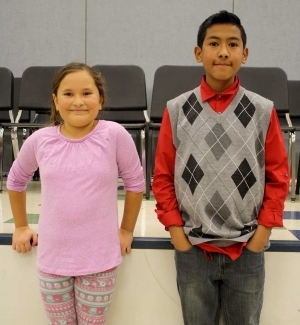 (l-r) Jordyn Garnica, Spelling Champion and Runner up Isaac Armenta. Mountain Vista Elementary School’s Spelling Bee went into overtime Thursday, January 19. The auditorium was abuzz with excitement when thirty 3rd, 4th, and 5th grader students competed. After over 20 rounds, Jordyn Garnica emerged victorious when she successfully spelled the champion-round word “FRUSTRATED.” Isaac Armenta is the runner-up. The next phase of competition is the Ventura County Spelling Bee which will be held March 4, 2017 on the Cal State Channel Islands campus. Congratulations Wildcat Spellers! CSU Channel Islands (CSUCI) will receive a grant of almost $250,000 from the California Commission on Teacher Credentialing (CTC) to develop four-year teacher preparation programs. California is experiencing a shortage of K-12 teachers with science, mathematics, special education and bilingual education credentials, so this grant will enable CSUCI to graduate career-ready teachers in four years, rather than the usual five years. Chair and Professor of Education, Bob Bleicher, Ph.D., who secured the grant, explained that teacher candidates traditionally earn a four-year baccalaureate in Liberal Studies, then apply to become a special education or bilingual education teacher which requires an extra year of post-baccalaureate study. This grant will enable CSUCI to tighten and tailor classes so that teachers can graduate earlier and be ready to teach sooner. “You can actually apply for a job during the final semester of your senior year,” Bleicher said. The emphasis of CSUCI’s four-year integrated pathway will be to develop Bilingual and Special Education teachers. CSUCI is among 17 CSU campuses receiving Integrated Program Grants from the CTC to help expand the number of teacher candidates earning science, technology, engineering, or mathematics (STEM), Special Education and bilingual credentials. These grants should enable the CSU campuses to triple the number of new teachers graduating each year with STEM, Special Education and Bilingual credentials. The CSUs currently graduate about 6,500 credentialed teachers each year. 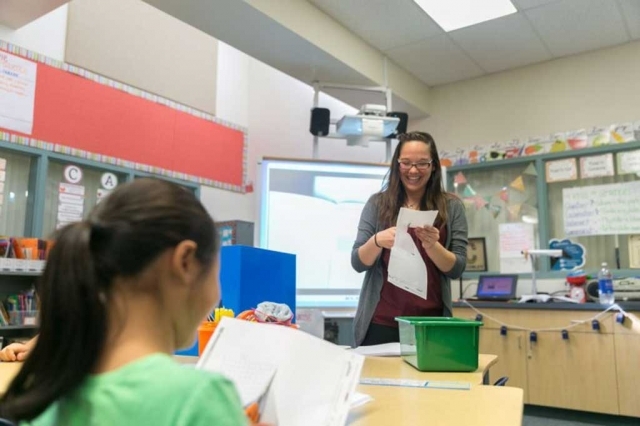 “The new format not only increases the number of teacher candidates graduating annually but also provides monetary benefits to CSU students,” said Marquita Grenot-Scheyer, Assistant Vice Chancellor of Teacher Education Program and Public School Programs for the CSU. CSU produces more teacher candidates than any other campus system in the state and leads the nation in preparing teachers. 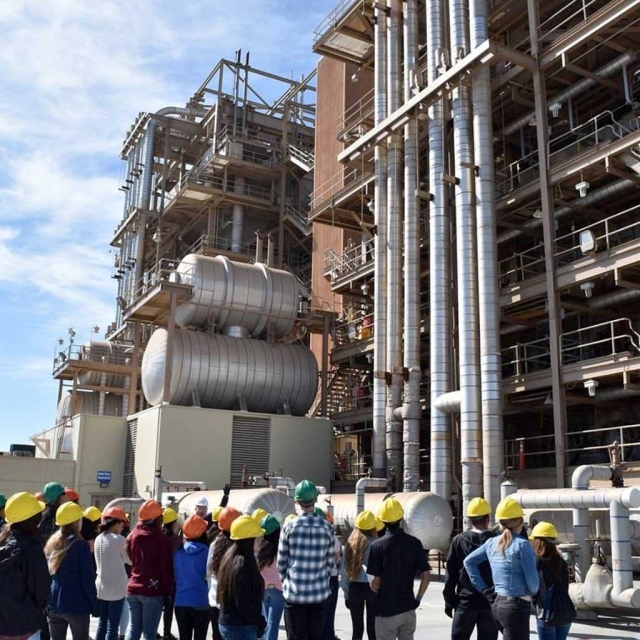 CSUCI is working closely with the community colleges, especially Oxnard College, where the Dean of Liberal Studies, Art Sandford, Ph.D., is the co-project director with Bleicher. 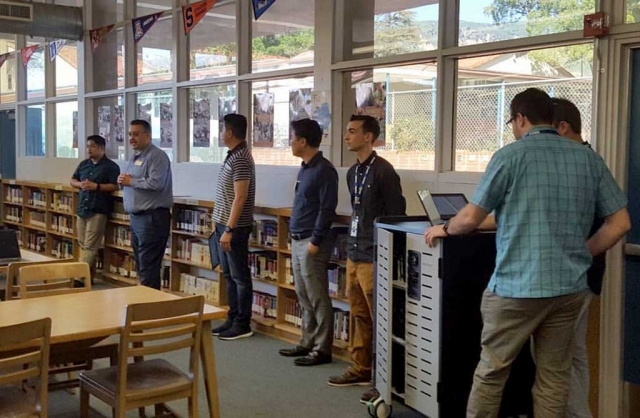 The grant will allow representatives from CSUCI and Oxnard College to visit high schools and recruit those who may not have considered a career in teaching. It will also help Oxnard College develop new courses to enable transfer students to make a smooth transition to CSUCI’s four-year integrated teaching program. CSUCI’s new four-year integrated teaching programs will begin admitting students in fall 2018.